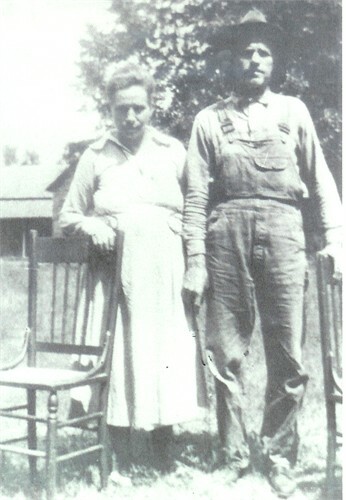 Sinda Arella Smith and Charlie Mitchell Cribb brought their family to Ray City, GA some time before the Census of 1930. 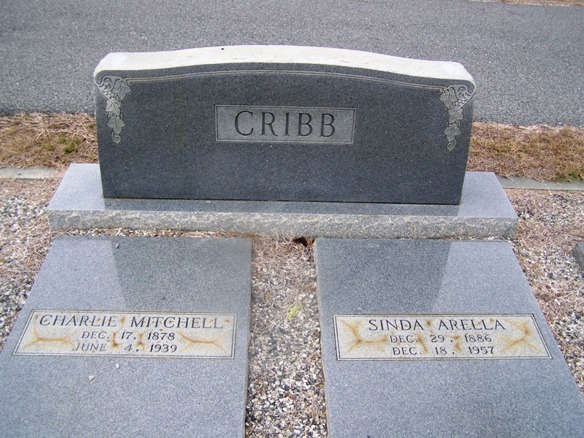 They made the small town their home for the rest of their lives, and many of the Cribb family connection still live here. Charlie Mitchell Cribb was born December 17, 1878 in Ware County, GA and grew up in Waresboro, Ware County. 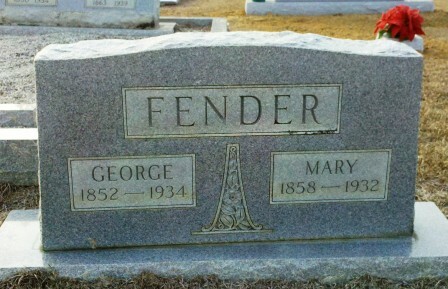 His parents were Nancy Caroline Wilson and John A. Cribb. 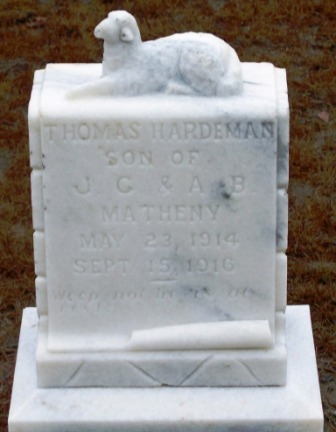 Charlie’s mother died Feb 22, 1891, while he was a boy. 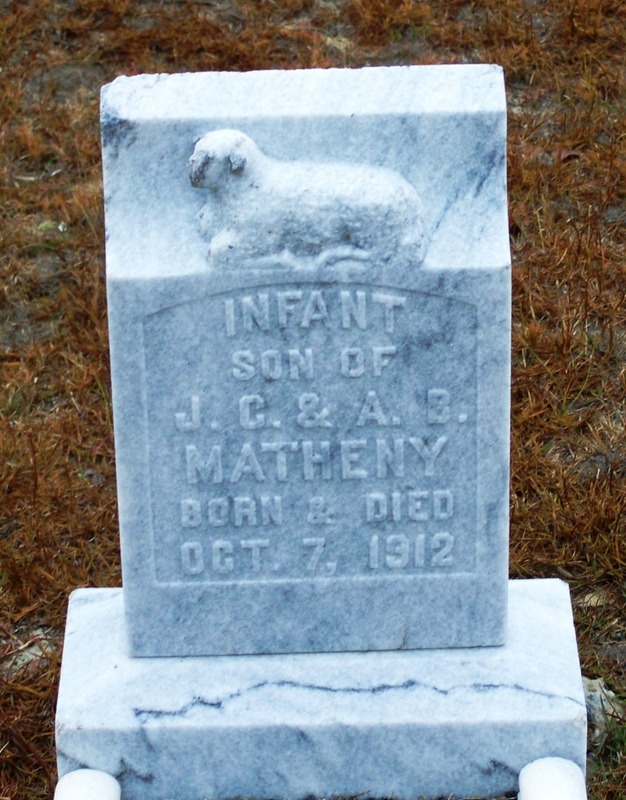 Five months later, Aug 5, 1891 his father married a second time to a young woman named “Lona,” born Elizabeth Malone Murray. 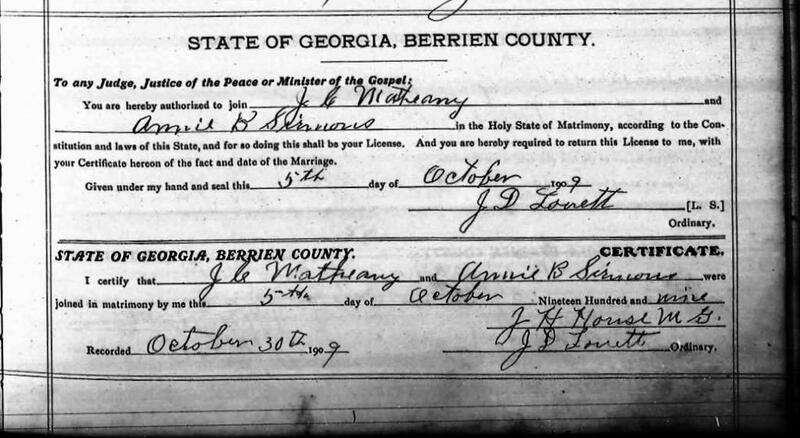 On January 10, 1903 , Charlie Mitchell Cribb married Sinda Arella Smith. 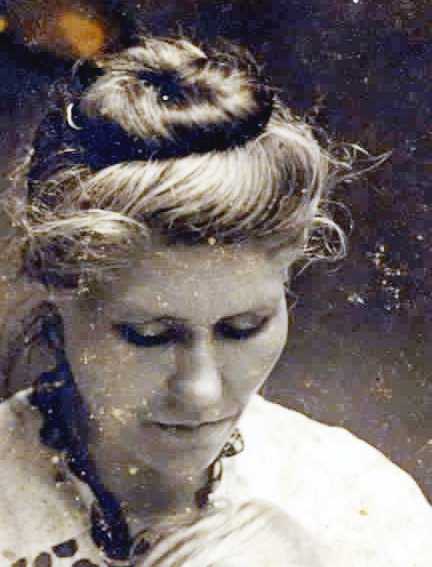 According to family members, “She was the illegitimate daughter of Margaret Medders who was the widow of Ed Smith. 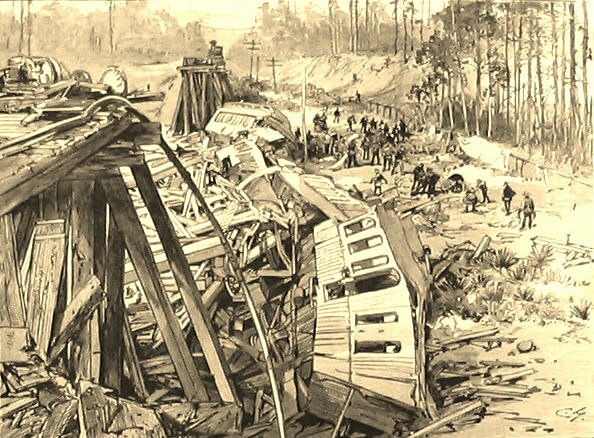 Ed had died several years before Cinda was born, but children always have the legal surname of the mother.” The couple made their home and began raising a family at Pearson, GA where Charlie worked at a sawmill. 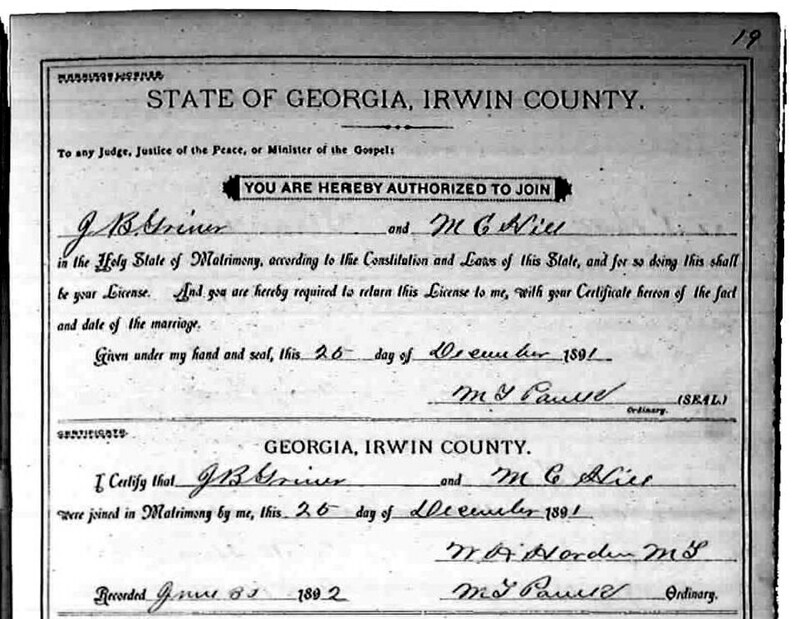 In 1920, Charlie Mitchell Cribb was renting a place in Pearson, GA, which had been cut into Atkinson County. He was farming, now apparently on his own account. 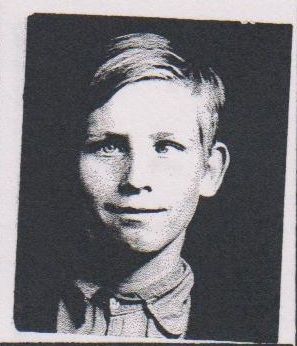 His younger brother, Jim Cribb, was farming the place next door. 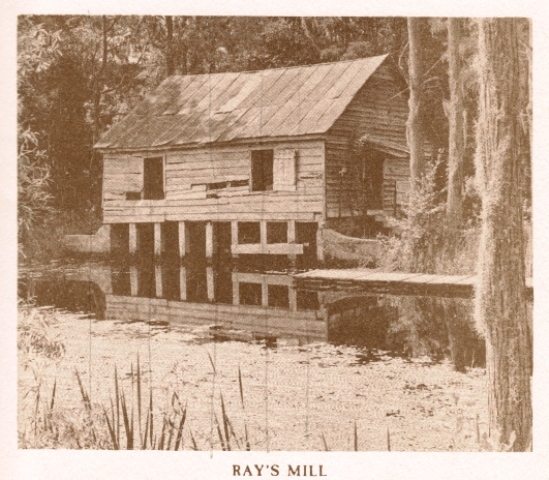 By the time of the 1930 Census, the Cribbs had relocated their family to Ray City, GA. They were renting a home for $8.00 a month. The neighbors were Henry A. Swindle and Batts Goin. 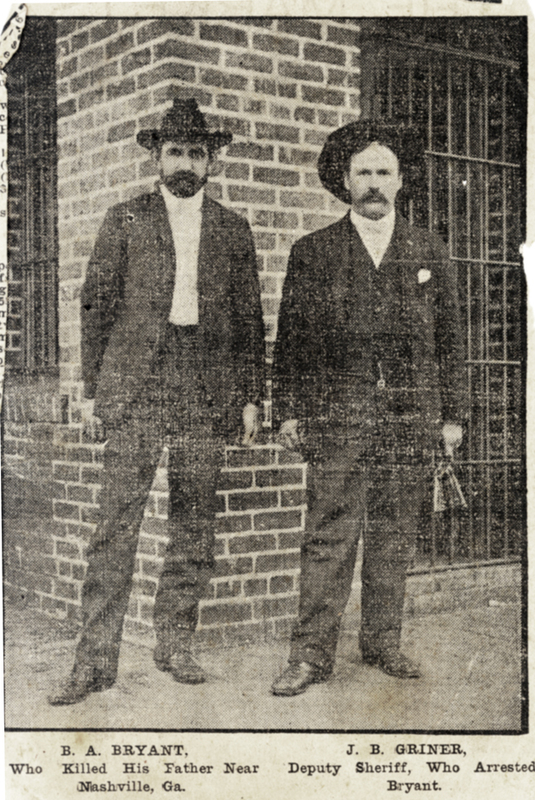 Charlie and his 16-year-old son, Albert Cribb, both worked as laborers, manufacturing crossties for the construction of the railroads. 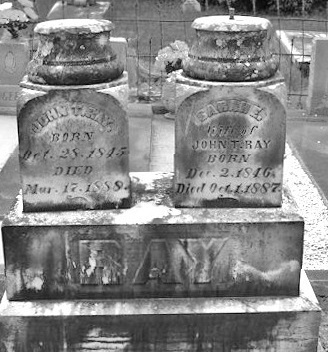 Charlie Mitchell Cribb died June 4, 1939 and was buried at Beaver Dam Cemetery, on Pauline Street, Ray City,GA. Sinda Arella Cribb continued to make her home in Ray City, and the younger Cribb children attended the Ray City School in the 1930s. 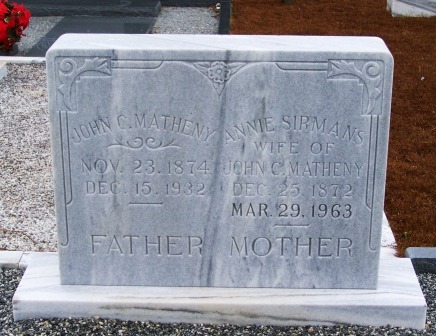 She died Dec. 18, 1957 and was buried at Beaver Dam Cemetery, Ray City, GA.
William Dempsey ‘Demp’ Cribb 1927 – 1997, 3rd Grade, 1939, Ray City School, Ray City, GA.